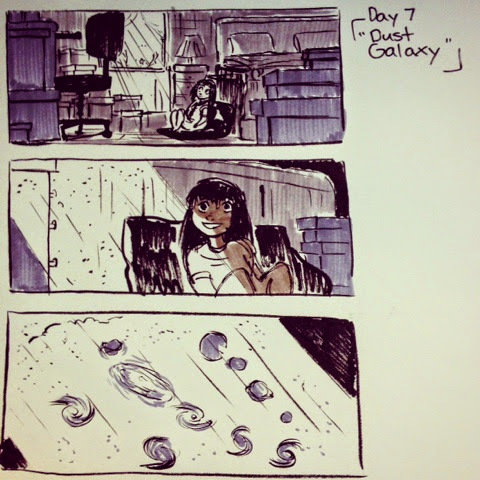 Karitoonz: Day 07 "Dust Galaxy"
Day 07 "Dust Galaxy" I felt like drawing a childhood memory, where in the afternoons on weekends I would sit in my parents' room and watch the sunlight catch the dust. I would imagine the dust as little galaxies. I might do more of these memory snapshots for Inktober.